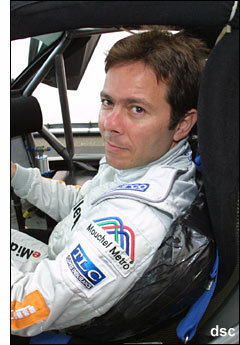 Thomas Erdos has been confirmed as co-driver alongside Christian Fittipaldi for the forthcoming Watkins Glen round of the Grand Am Rolex Series. He will be rejoining Cheever Racing, with whom he, Mike Newton and Warren Hughes contested the Daytona 24 Hours in January this year. On that occasion the RML regulars were partnered in the Cheever Racing Crawford Daytona Prototype by former Grand Prix driver Stefan Johansson. "Eddie and I have kept in touch since Daytona and we have both been keen to work together again," says the Brazilian. "But owing to clashes with my racing calendar in Europe, we have not been able to make it happen… until now. Cheever Racing is at the top of the tree as far as Grand Am Teams go and I am really looking forward to this new challenge. This will be my first time at The Glen, I can’t wait to get on the racetrack and learn yet another great motor racing circuit, a circuit with so much history in the sport. What a treat, I love my job! The weekend will also be a chance for Tommy to meet up once again with Andy Wallace, with whom he shared RML’s victory at Le Mans in June. The two will travel back to the UK together after the event.